Samsung Galaxy On7 Prime Will Expected to be launch On January 17 2018 in the Indian Smartphone market.Recently This Samsung Galaxy On7 Prime has been listed on Amazon India. Samsung has informed that the company is organizing an event on 17th January in India and in that event Samsung Galaxy On7 Prime Will Expected to be launch by Samsung . Screen :Samsung Galaxy On7 Prime has a full HD display and 5.5 inch Screen Size. Camera:Samsung Galaxy On7 Prime having 13MP front and rear cameras. 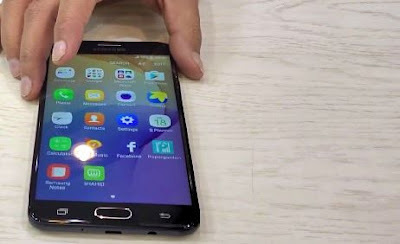 Processor and Ram :Samsung Galaxy On7 Prime comes with 3GB and 4GB RAM with 1.6 GHz Octa-core Axinos 7870 processor. Internal Storage:Samsung Galaxy On7 Prime comes with 32GB and 64GB internal storage, with the memory card, you can expand the storage upto 256GB. Price : Samsung Galaxy On7 Prime is expected to cost Rs 15,000 in India. NEXT POST Next post: BIGG BOSS 11 Mastermind Vikas Gupta Eliminated.